When on a holidays or Sunday afternoons the whole family meets at the table in the living or dining room, the hostess has to constantly go out to the kitchen to bring new dishes or organize the tea setting. There is one more point to consider: while serving dishes and drinks, a mistress has to put a heavy tray somewhere. Besides, taking the dinnerware away after the meal is over can be very tiring. And with a compact, yet roomy serving trolley all of these serving troubles woudn’t be so burdensome. Thereby the hostess won’t have to leave the table to get more bread, for example, and will be able to pay more attention to her guests. The scope of application of the mobile assistant is not limited to setting the table – it might be of use in other situations. For instance, disabled people can use it to have their medicines, books or a glass of water always at hand. 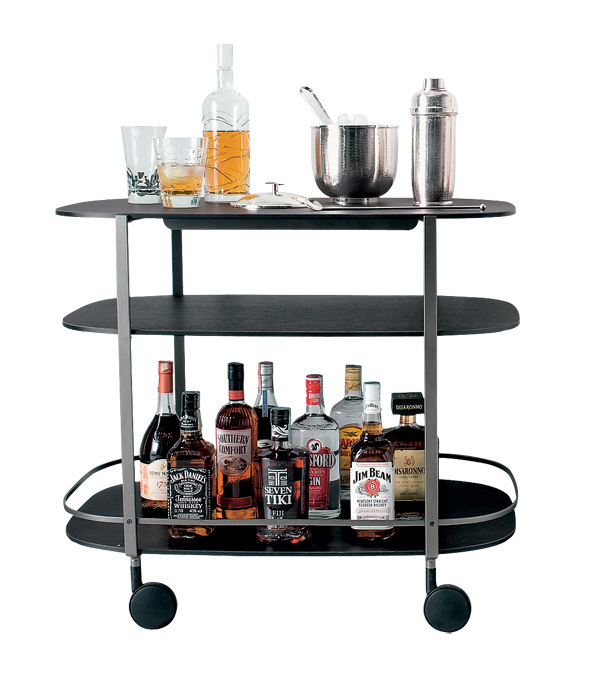 A serving trolley will help when you need to organize an aperitif for friends or serve light snacks when your family members are watching TV. The rest of the time it can be utilized as a stand for a flower vase, a book, a laptop or a workbox. 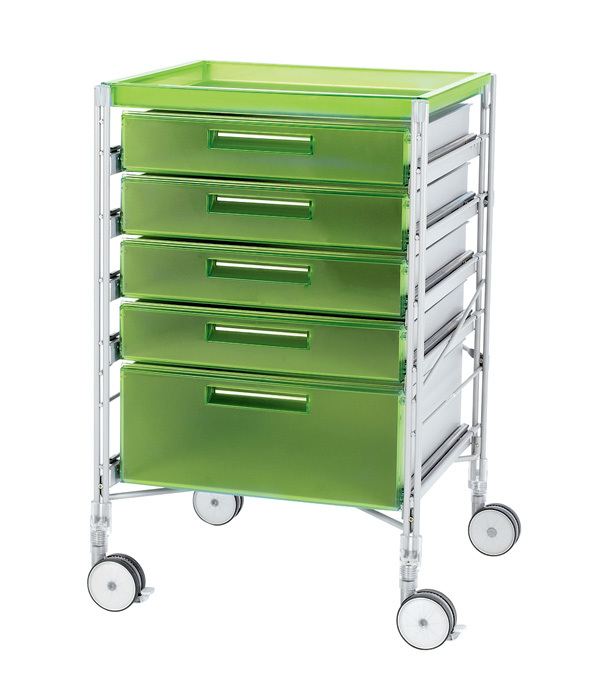 There is a great choice of models available on the market: trolleys can be square, oval, circular, rectangular, one-, two- or three-tier, with one or two handles. 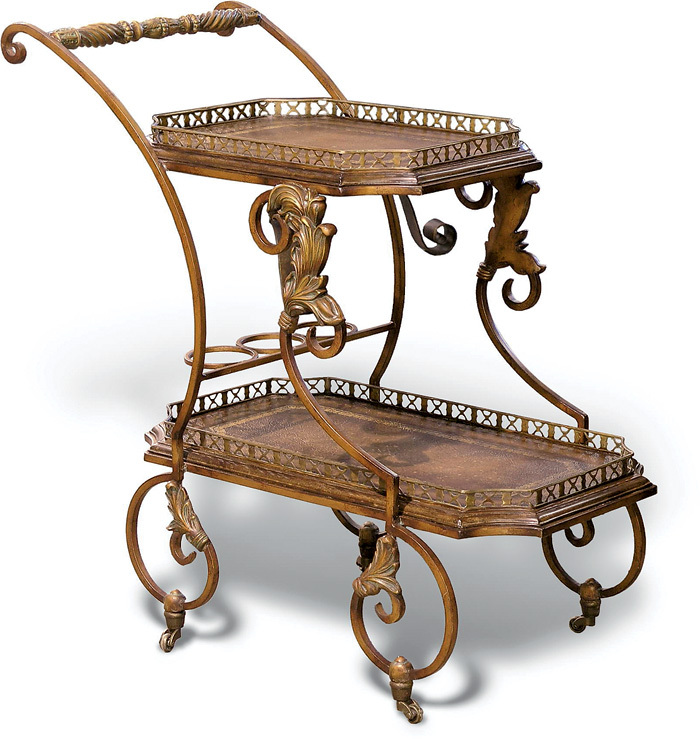 It goes without saying that a serving trolley can carry out its functions fully only given that it has wheels. The bigger their diameter is, the easier it is to move the loaded trolley, especially when you transfer it from parquetry to a carpet. 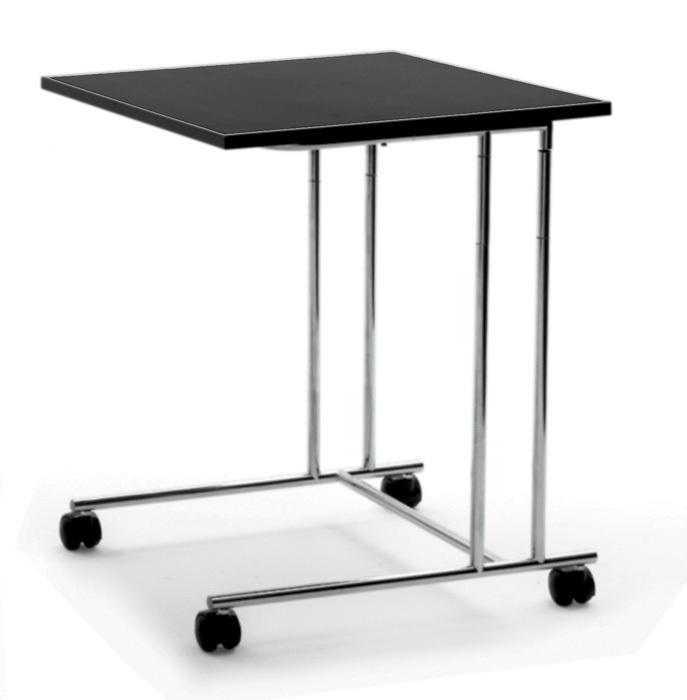 Rubber-coated wheels ensure quiet moving and protect the floor from scratches. The location of the handle is also vital: it should better be located higher than the trolley’s body. Pay special attention to folding models – they can be stacked and tucked out of the way or easily transported to your summer cottage or to a picnic. The choice of materials is also unlimited: wood, plastic, glass, metal, rattan or mixed. The price varies depending on the material type. And there also mass market models and designer pieces available. 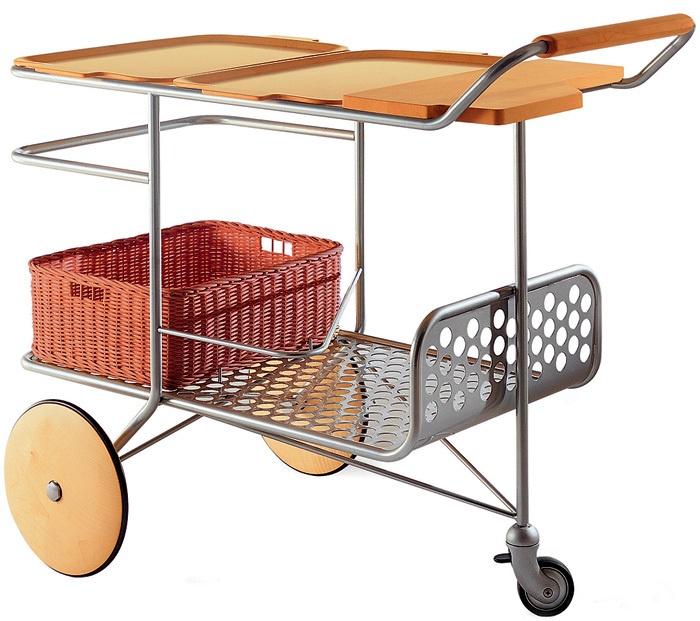 Have a look at our selection of most functional serving trolleys for all tastes. The Cubovo model by Porro has four wooden flaps and a top and shelves in glass. 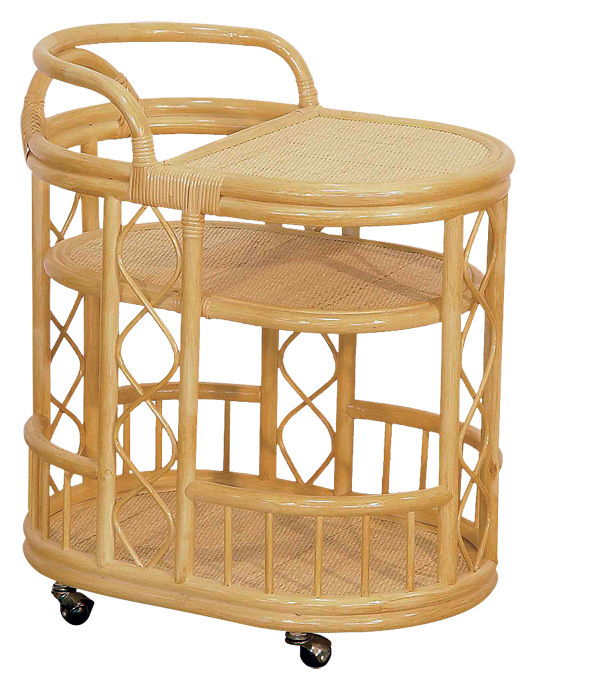 An intricate rattan serving trolley by Calamus Rotan creates the sense of lightness and airiness. Warm honey hues will always remind of summer and laconic design will fit into any interior style. Ethnical designer pieces by Dream Lake are entirely hand-made. 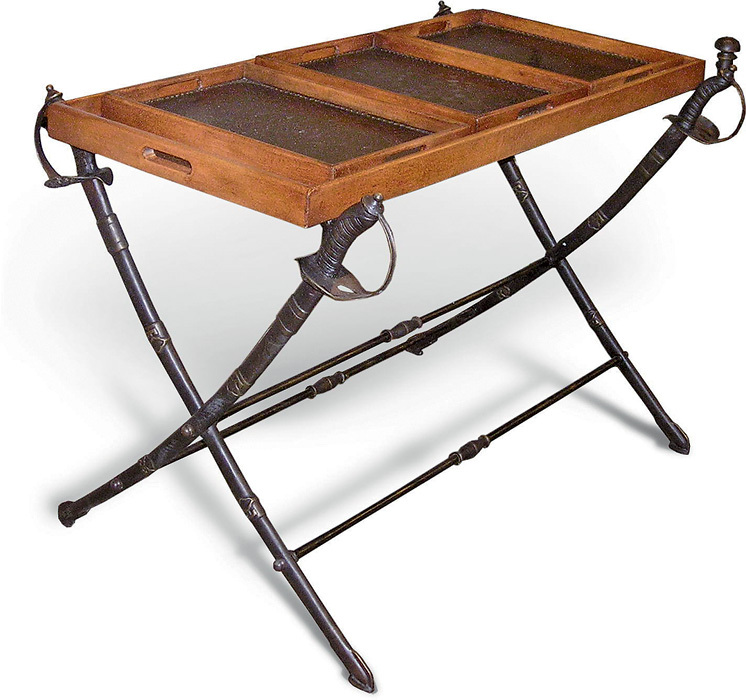 This Colombo serving trolley made of natural wood and perforated metal can become a centerpiece of a contemporary-style dining room or lounge. 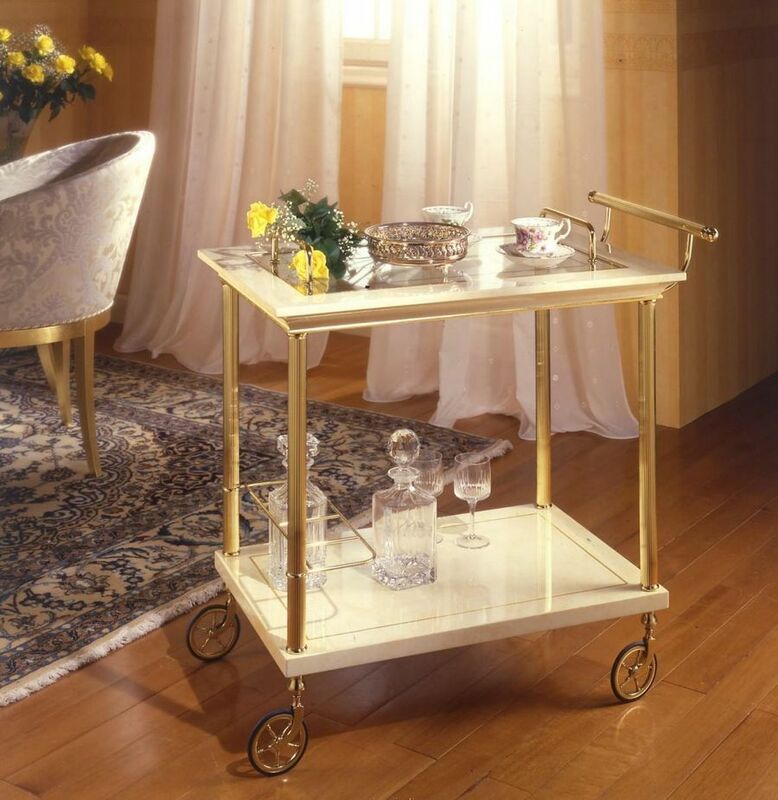 Laconic and elegant Scandinavian-style Tea serving trolley with big wheels is made of birch wood and coated with clear lacquer. 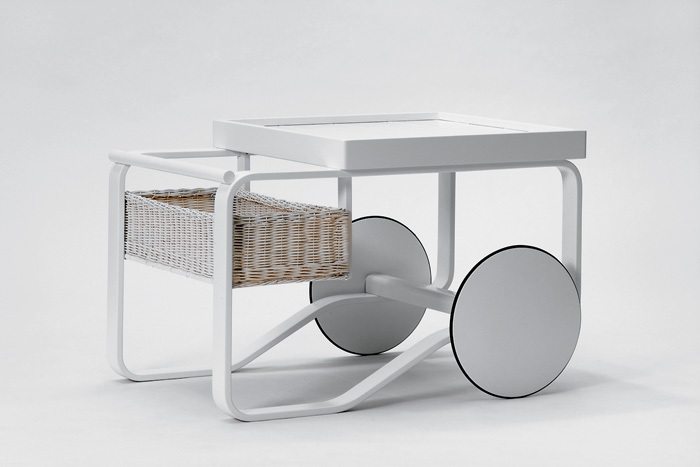 It’s designed by Alvar Aalto and manufactured by Artek. Service model by Arflex is designed by Cini Boeri. A stylish model by Zanotta is designed by Anna Deplano and finished with oak veneer. 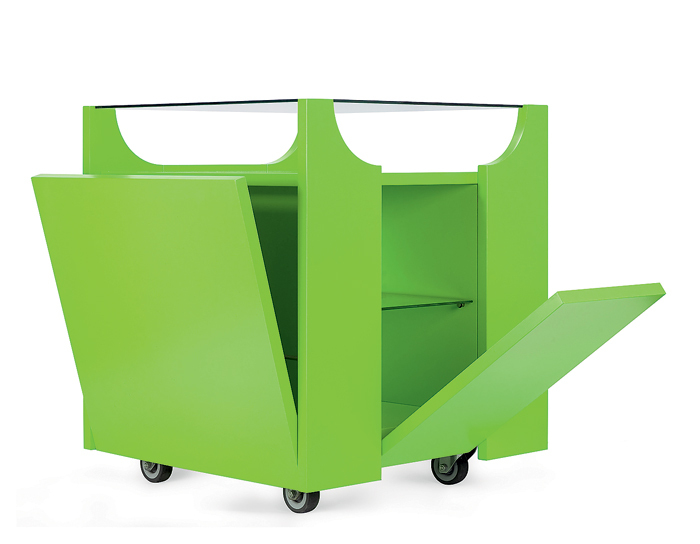 Festival Trolley is made by Casamania from colored ABS-plastic (design by Adriano Baldanzi and Alessandro Novelli).